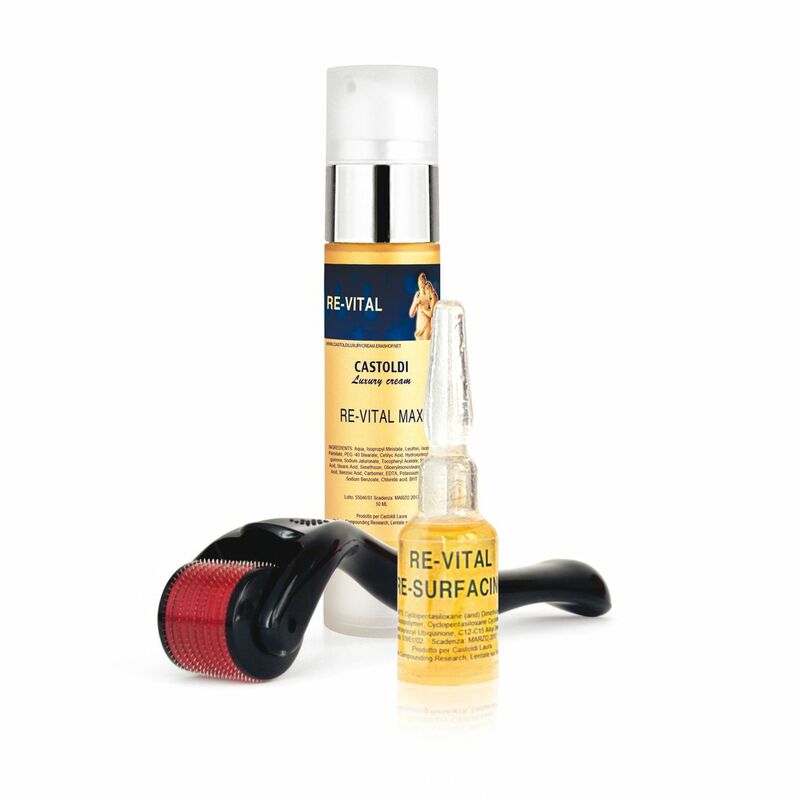 Re-Vital Max 2% 50ml Airless + N° 1 Serum 5ml + Derma roller. The cream and the serum are made with supplements that rejuvenate the skin and surprisingly reduce the fine lines and the signs of aging. These supplements, combined with the mechanical and reflexogenic action of the derma roller, stimulate the creation of new collagen. The penetration in the superficial dermis of these powerful antioxidants, vitamins and hyaluronic acids, give an amazing effect to the skin, with a powerful revitalizing action, smoothing and anti-aging effect. A complete kit for a prodigious effect that can be done easily at home.